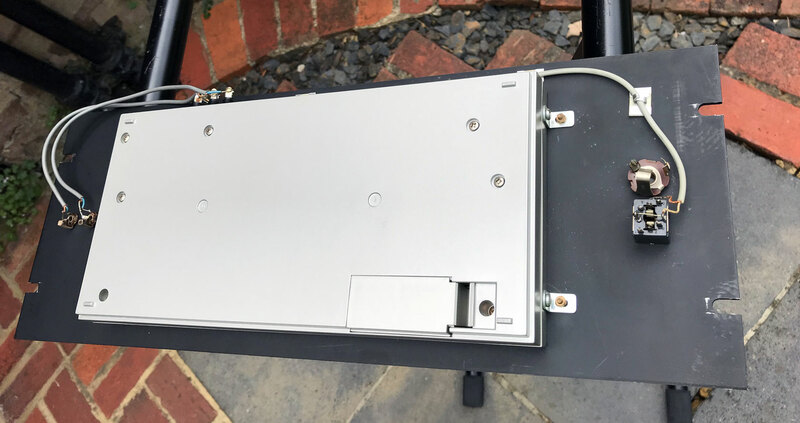 We are Brokering this instrument for and on behalf of our UK client. Came into stock: Available from RL Music as at 6th July 2018. 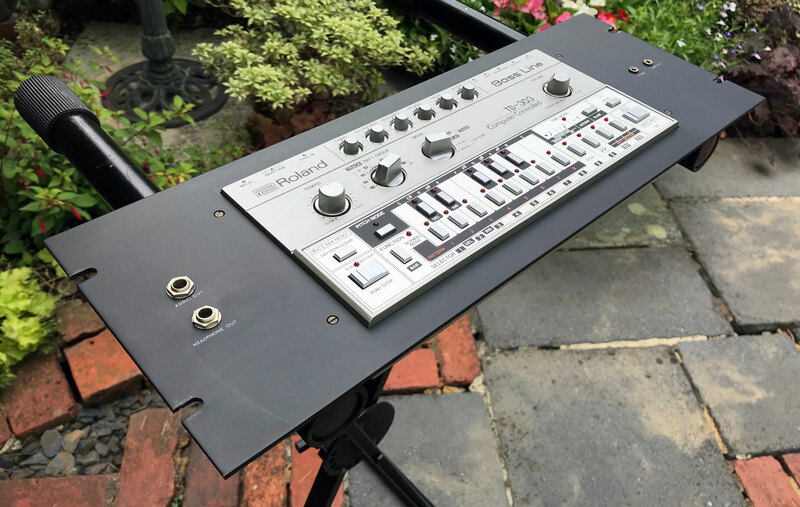 Servicing Status: A full service by KSR has already been carried out (late June 2018), so the Roland TB-303 is available for sale now. Remarks: Acid!!! 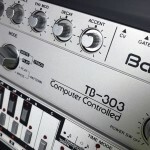 An immaculate and usefully rack-mounted example of the machine that defined a genre of music, the Roland TB-303. 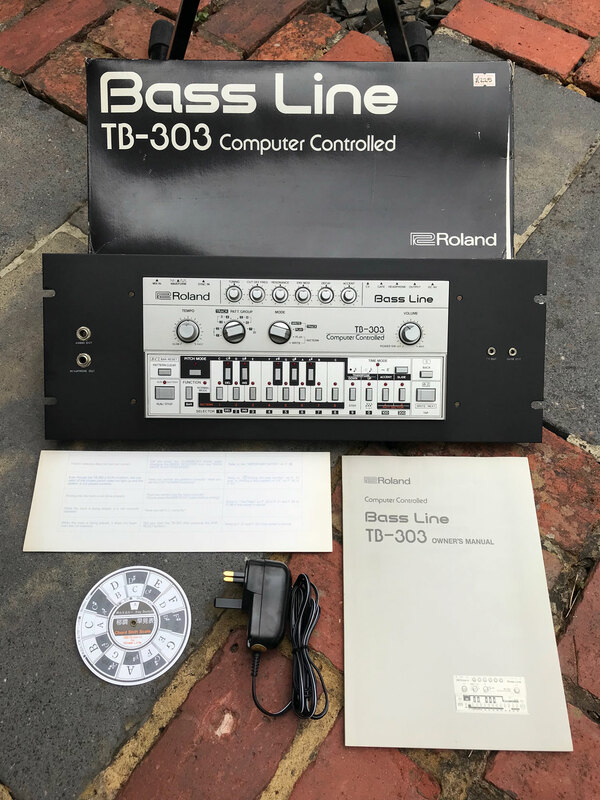 This Roland TB-303 forms part of a larger collection of vintage synths that we are brokering as part of an Estate clearance. 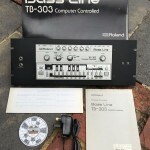 The owner of this TB-303 had this bass/seq machine maintained with no expense spared, and at some time in the last 10 years, they had it professionally mounted into the rack-plate you can see in the pictures below. 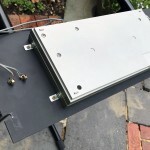 The work was done beautifully but required the original plastic TB-303 case to be screwed into for the fixings. This modification may not bother many people as having the unit racked make a lot of sense in today’s space-limited studios. 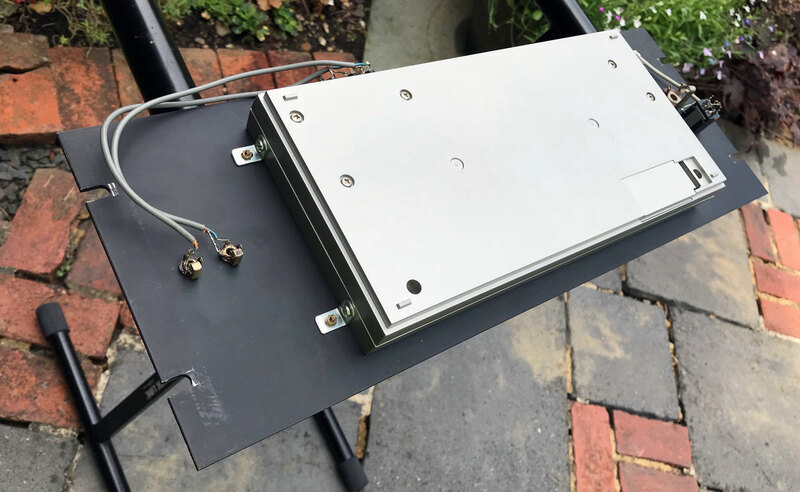 Cosmetically, this 34-year-old vintage analogue instrument is in near pristine condition, aside from the mounting screws as mentioned above. 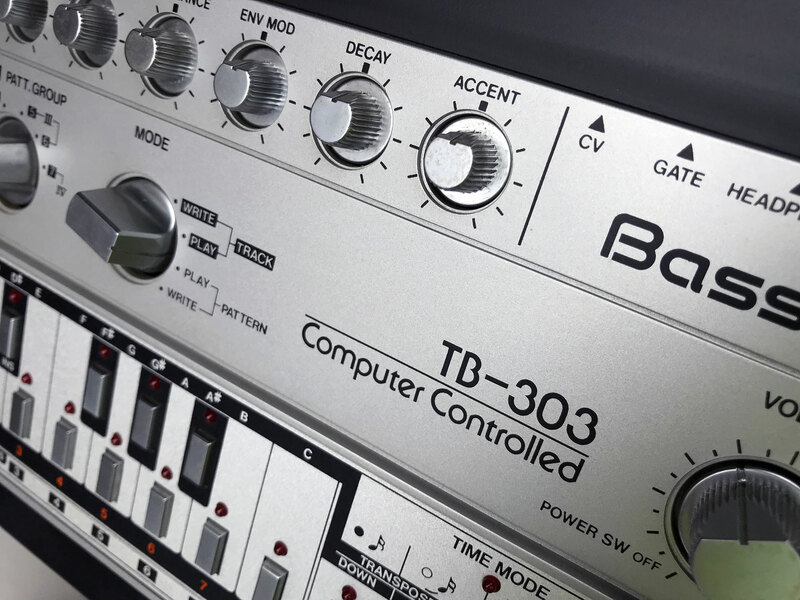 We took a picture of the battery compartment as well, just to show has clean everything is on this TB-303. 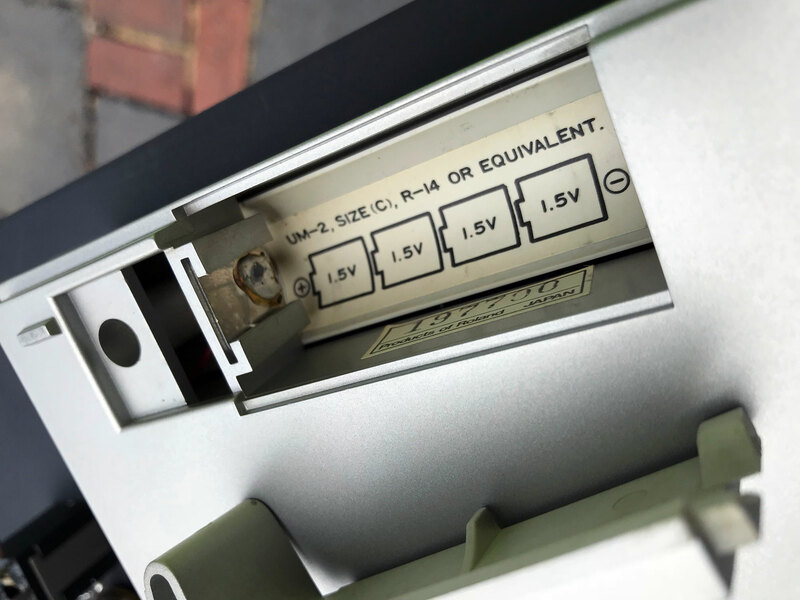 KSR has only just fully serviced it, so it’s 100% perfect operationally – this is a real keeper! 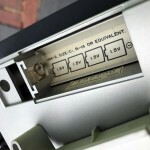 The original external Roland PSU was not supplied to us so we have purchased a brand new external 9V AC PSU for the unit. We also have the original user manual, box and other docs for this (pictured) which are included in the sale. As the instrument is being Brokered through RL Music, it will be sold with a full 3-month warranty and we can ship worldwide. 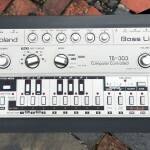 Availability: This Roland TB-303 is available for sale now. 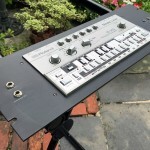 Click on the thumbnails for higher resolution photos of the actual Roland TB-303 for sale.